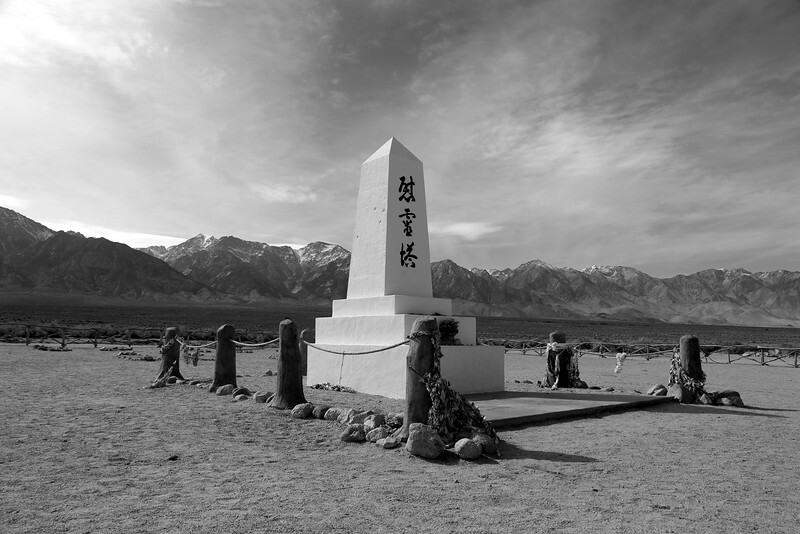 From April 1942-1945 Manzanar was a WWII relocation center for Americans of Japanese ancestry. 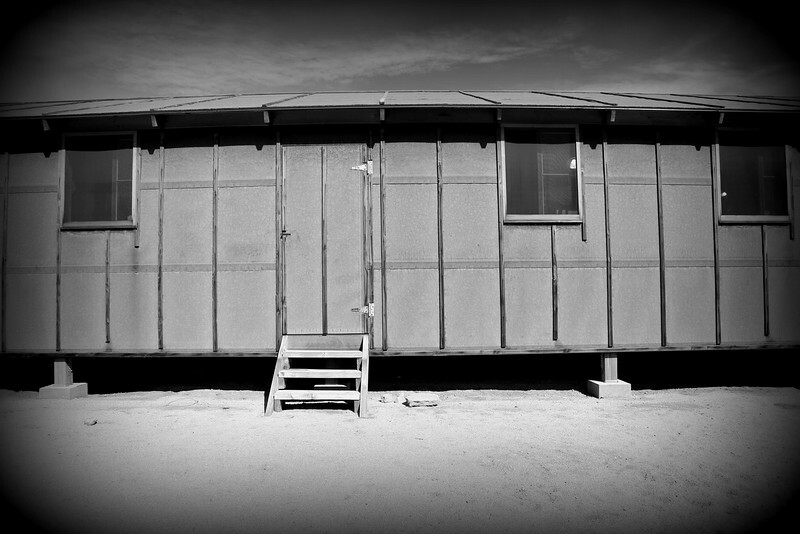 The first of 10, with 10,000 at people at this site. 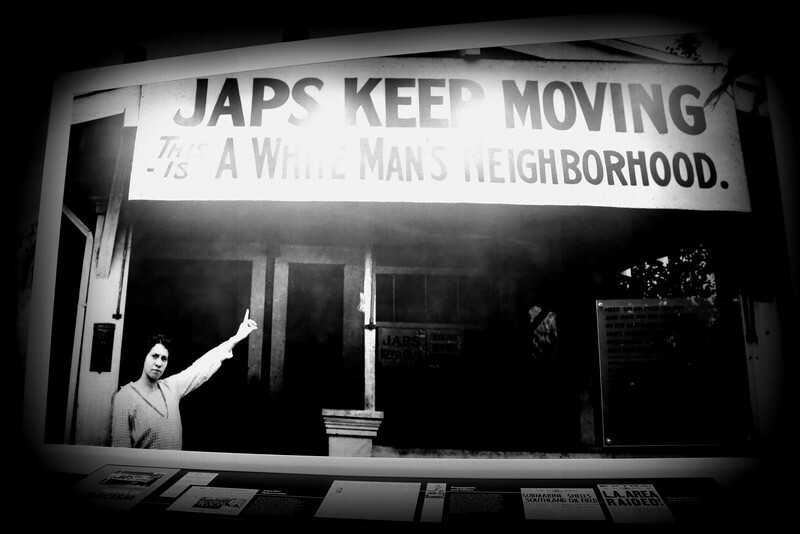 A total of over 110,000 people incarcerated during WWII. 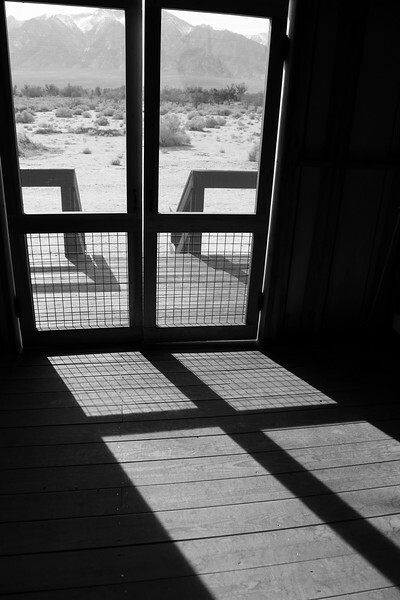 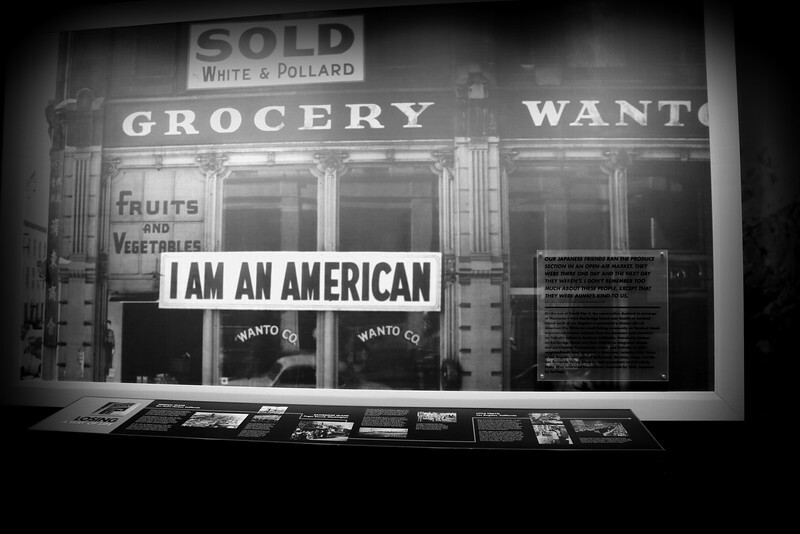 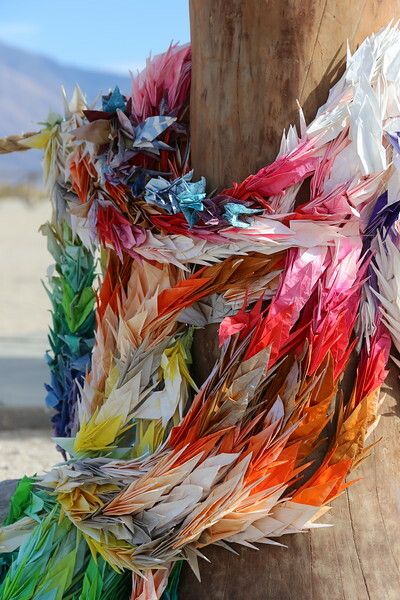 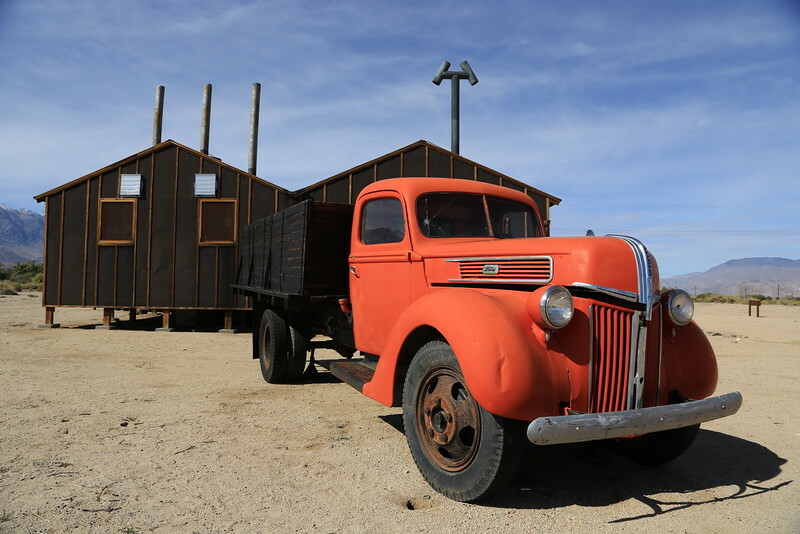 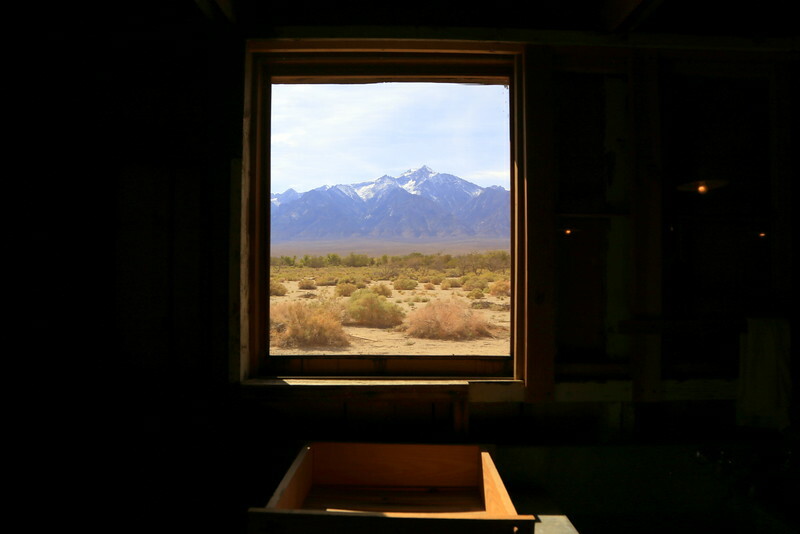 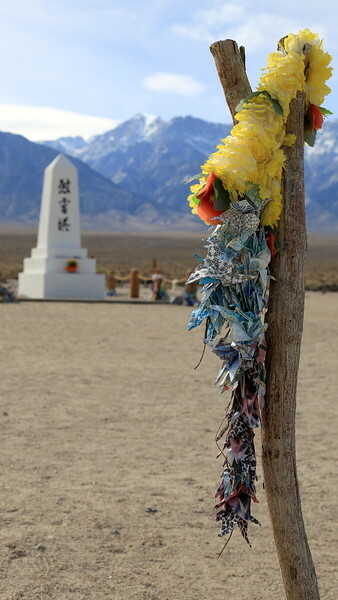 Manzanar was one of ten camps where over 110,000 Japanese Americans were incarcerated during World War II. 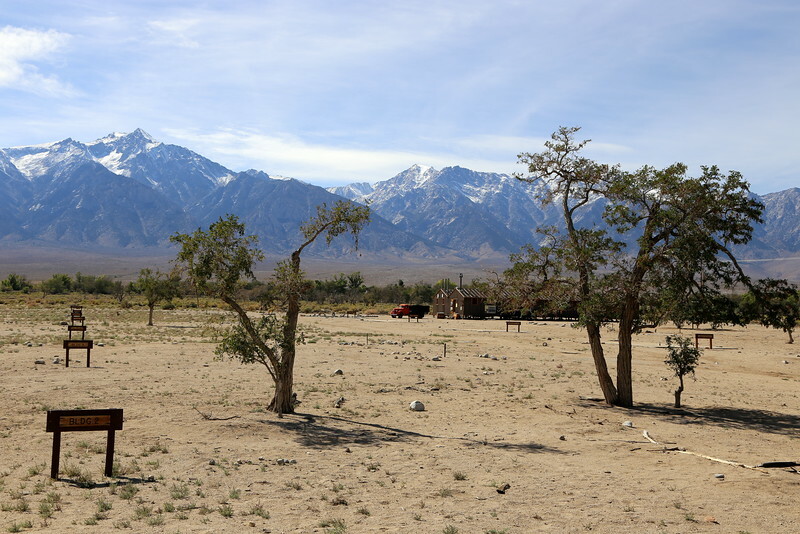 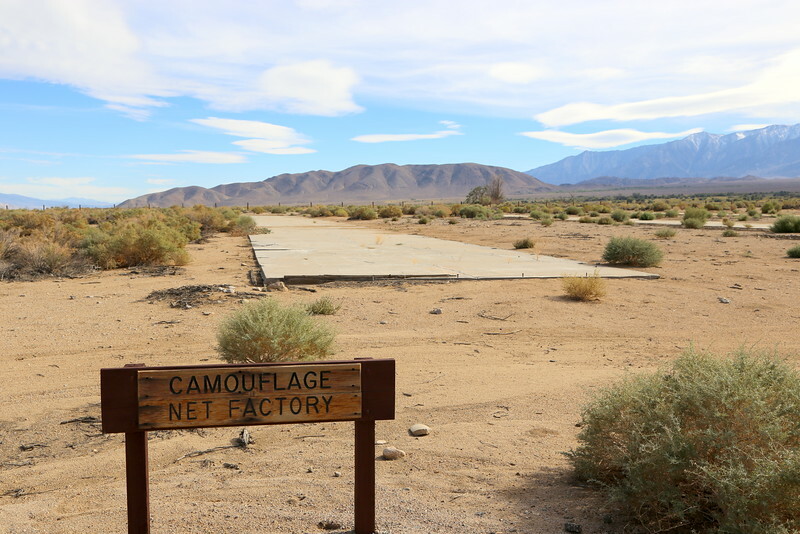 Located by HWY 395 at the foot of the Sierra Nevada in California's Owens Valley between the towns of Lone Pine to the south and Independence to the north, it is approximately 230 miles (370 km) northeast of Los Angeles. 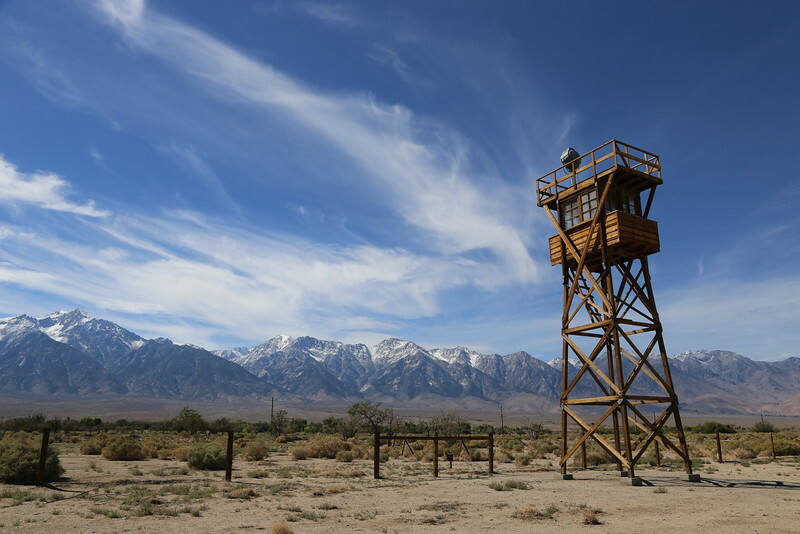 A replica watch tower. 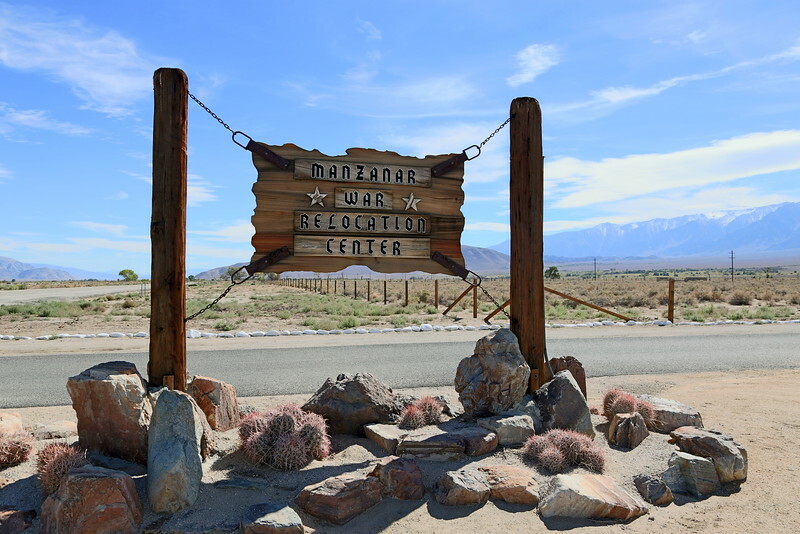 Eight watchtowers, equipped with searchlights and machine guns pointed inward at the incarcerees, were positioned around the perimeter of the camp. 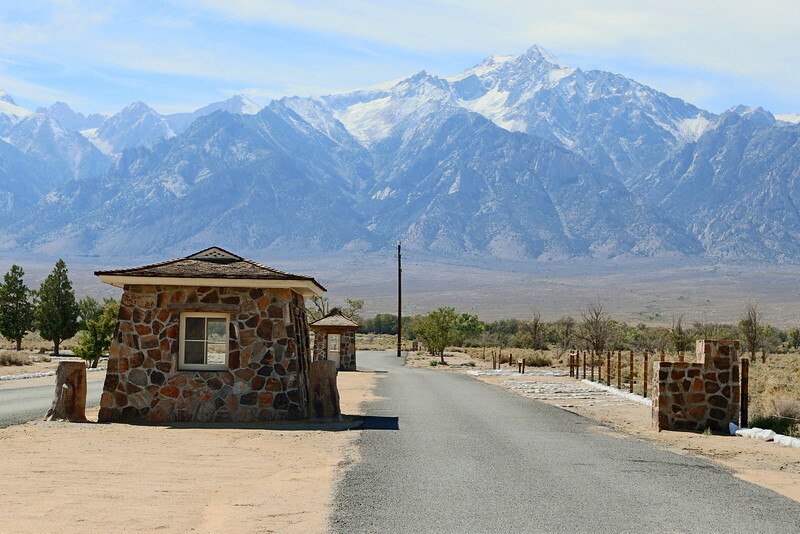 Manzanar barracks measured 120X20 feet and were divided into six one-room apartments, ranging in size form 320 to 480 square feet. 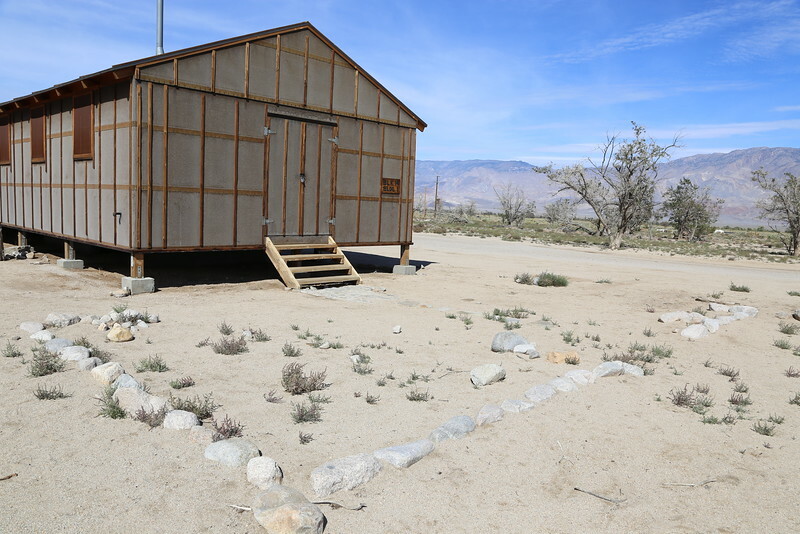 Each block of 15 barracks shared bath, latrine, and mess buildings. 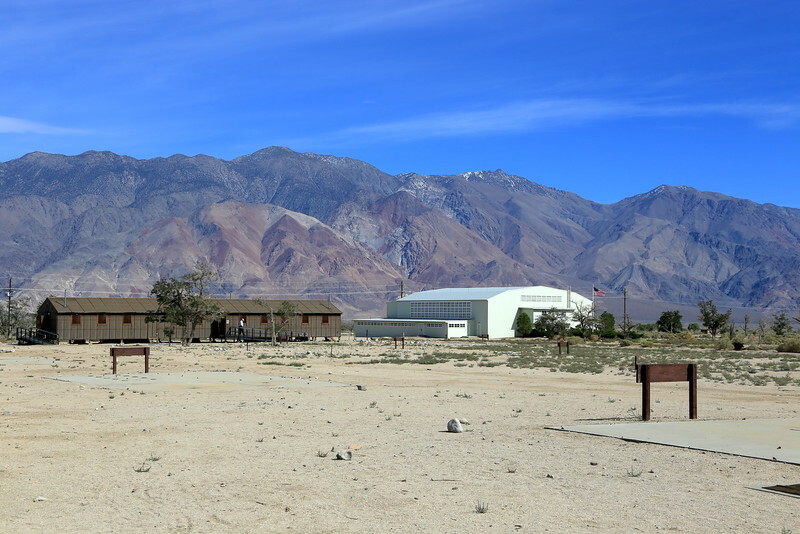 Markerts were some of the barracks stood. 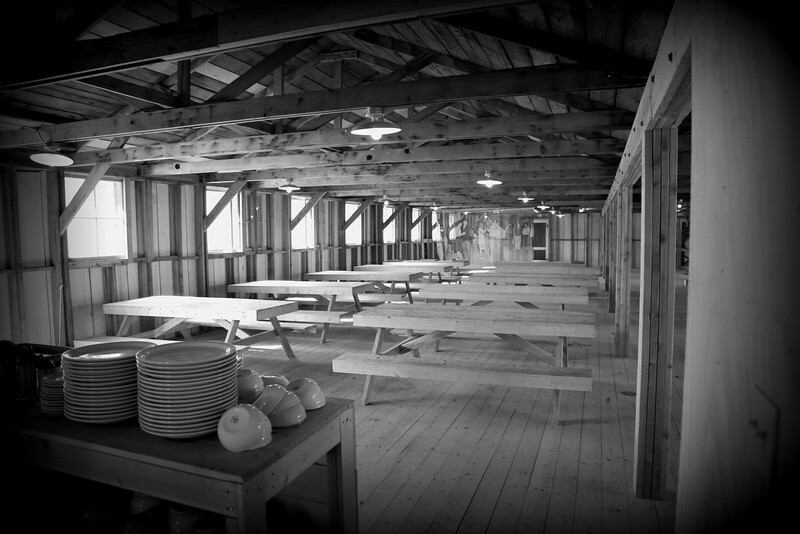 The large building was a gymnasium built by the internies for use by their school. 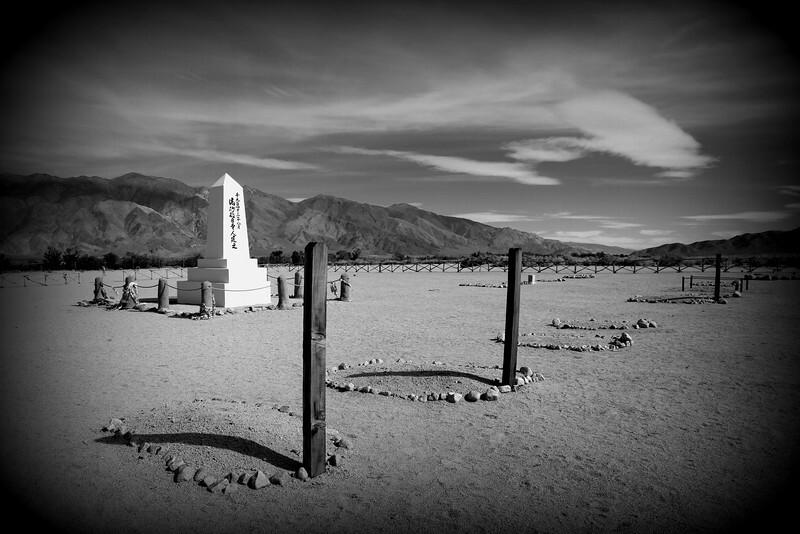 Monument at Manzanar cemetery looking towards the Sierra Nevada Mountain range.